It's been a while since I roamed/stalked these boards, last time in search for critique on my head sculpts. Now I'm looking for some aid in my conquest to make two concepts of mine 3D! Throughout each year in my studying location we have a total of 8 subjects (16 total over 2 years), and this is my last one..! It's pretty important, and as such we get to choose what to do, to help us grasp what we want to work with a little better. 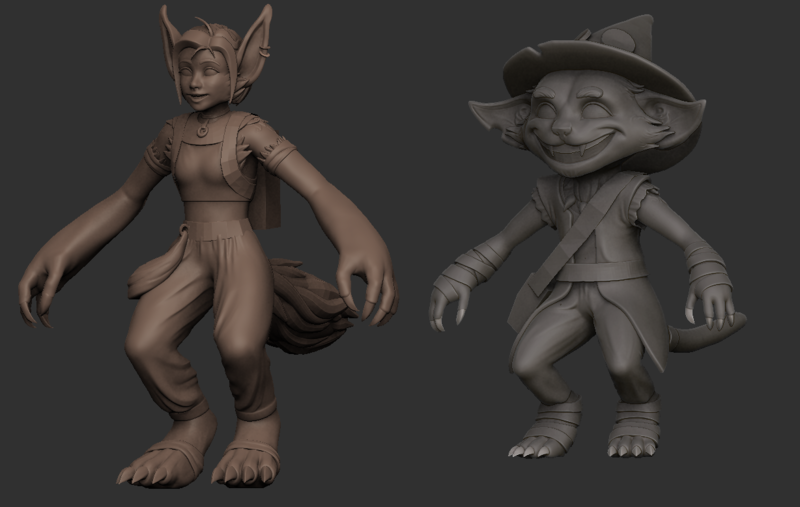 My choice of task was to make two characters from concept to posed out, while being optimized for a game-setting (polycount/good topology being the key things I'll try to stick to). In short, my two characters will have to go through the entire process in roughly 8-10 weeks. My two characters are hybrid human/cat creatures, with feline features. Cade more so than Arryn, due to causes in his backstory. Their concept art is linked below, for the most part I kept them to rough sketches though. Their concept links weren't working, so I've posted them further down this page. 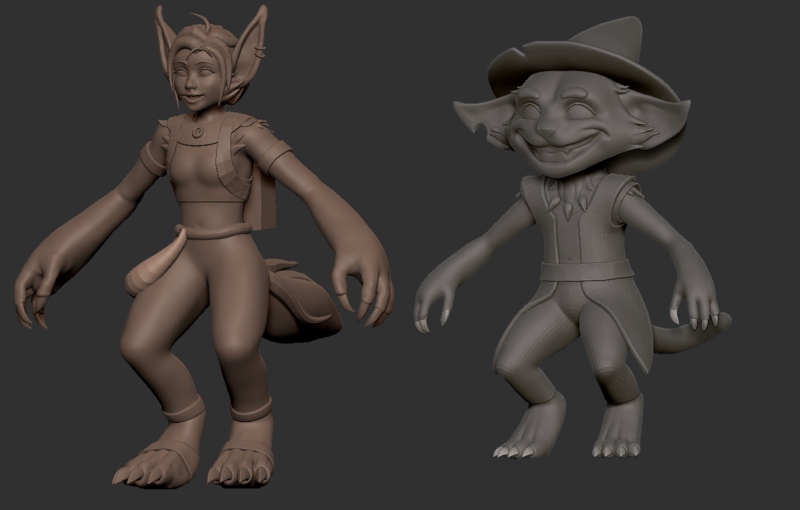 I started working on their base sculpts this Monday (19.03.2018), so this is all progress I've made from then to now. So far I've logged almost 5 1/2 of work on the two, roughly 2 1/2 hour on each. New pictures/updates will be added in new comments as I go, since I'm not sure how many pictures this first post can handle. The sizes of the two don't match in the progress pictures - Cade will be about half the size of Arryn. Day 1: After the first day of blocking. I used spheres and other primitives to roughly define where each bodypart/joint would be. This is after I dynameshed different parts together, the original looked more like a dummy figure you'd use for traditional art. I fleshed them out a bit more before calling it a day. I used about 2 hours to get to this stage. 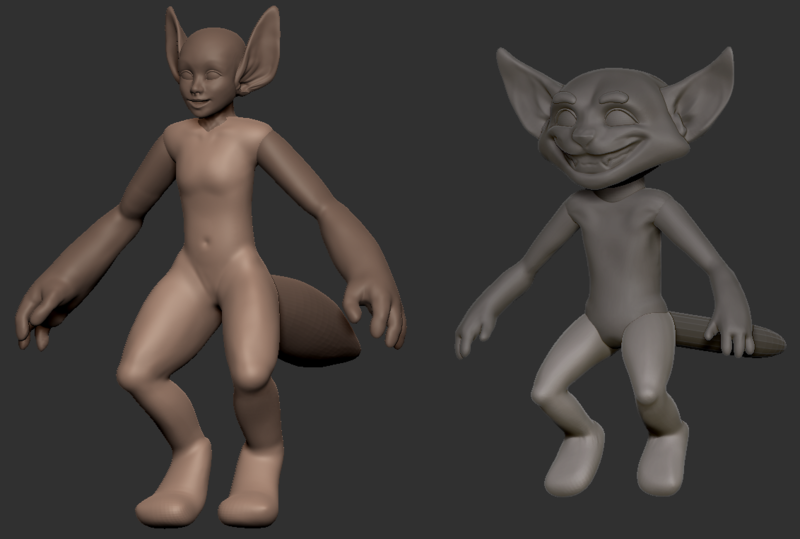 Day 2: Experimenting with the ears (positioning/shape) and correcting some of the anatomical errors to arms and legs. Also began testing a methos to add claws/paws which worked pretty alright, and which I decided to use the following day as well. I also dynameshed all the body parts together except head and tail, keeping them separate for now. 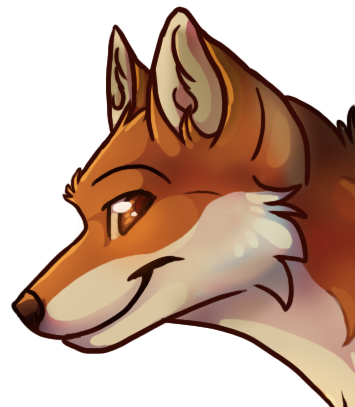 1 hour & 30 minutes (with 30 min being used to experiment with the ears/muscles). Day 3: Correcting errors, shaping up the ears. Adding furry patches to the areas I want them (not bothering with adding fur to parts where you can't see anyway, and which will be lost completely during retopologizing - such as stomach/chest). Starting to get a better feel for what their characters are like. 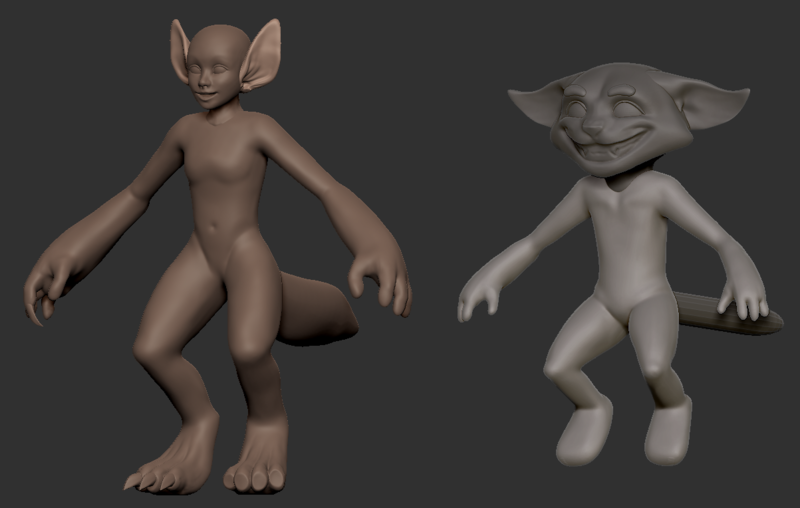 Need to add things such as teeth and integrate fur with the body. Cade also needs a mouth pocket and a set of actual teeth. 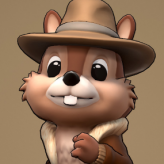 Made his hat so I could shape his ears properly and add fur reactive to the hat as well. 2 hours & 12 minutes. That's what I got for now! 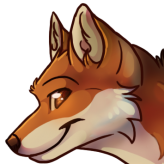 I won't be doing daily updates since I can't work full time during Easter, but I'll poke in here with updates as often as I can. Any feedback is very welcome as long as it's constructive! Day 4: Though I'm in my Easter holidays I managed to get some work in on the two. I started blocking in cloths from their concept art. So far I've steered away from adding any detail such as folds, I'll look at that later. Eerything's reasonably low-poly, so the file is easy to work on (even for my low-budget laptop which is no where near as powerful as the school computers). I've got most objects blocked in, but there's still a lot to do. I want to redo Cade's cloak, and the belt on Arryn needs some attention (right now it's just a rubber band). 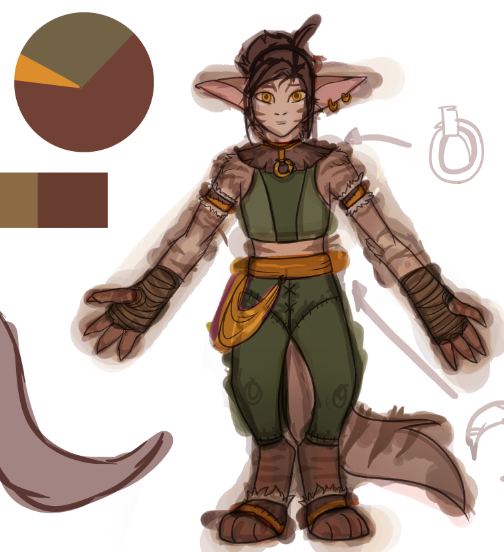 Considering whether I want the thingies on her feet or not - might just go with bandages like on Cade. Tails still need a lot of work. Considering to add a "bracelet" to Cade's tail with feathers attached to them. 2 hours & 10 min. Day 5: 3 hours worth of work on the models today. Working on adding some detail at the same time as I start adding the final things that need to be blocked in (straps in particular). I also chose to add a tail band to Cade, one which will have feathers/skulls attached to it. 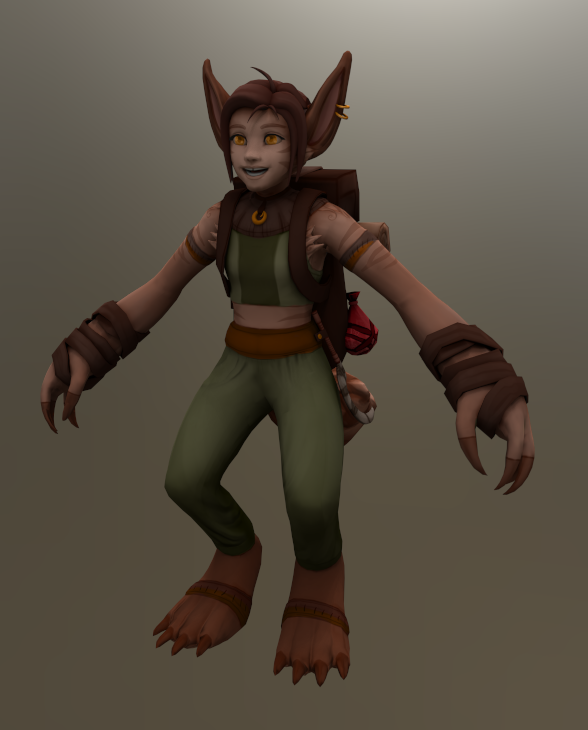 Still need to finish the tails in terms of furriness, but I plan to go over both characters and add trails of fur here and there to lessen the work in the texturing phase. I think I'm starting to get somewhere, but I've got lots of things I need to reconsider as well. Any set of eyes that can help me see these problem areas are very welcome! 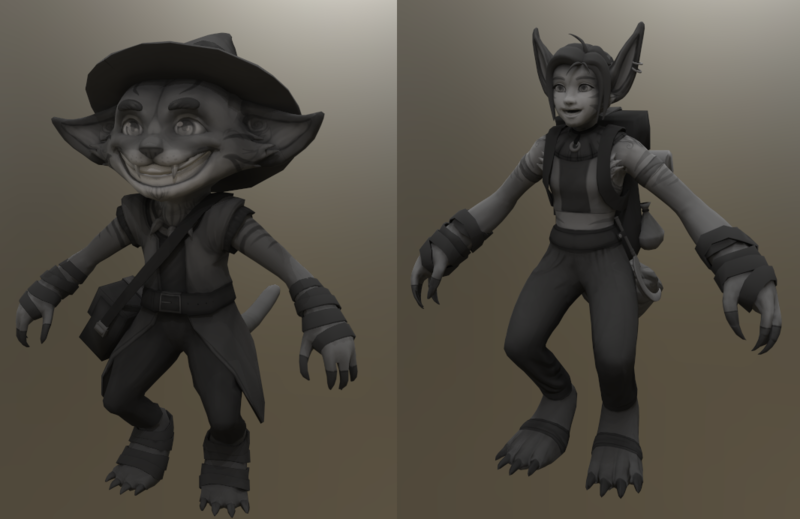 Day 06: Rework of the pants, using different sets of references. Also decided to redo the bandages since they looked a bit wonky in the previous version, and I like the technique I stumbled across a lot! I'll look at Arryn's arms a little tomorrow before I repeat the process for her. Finally starting to get somewhere, but I need to model the bags and I need to find a good reference on the scarf Arryn carries on her hip. Worked 3 hours and 35 min today, and I'll now move on to modelling their equipment so I can finish the modelling stage. Also, I can't access the concept art? It might just be me but the links aren't working for me. Are you able to just post an image? Thanks for the feedback! I'll look to straighten them out a little bit, even if I don't plan to animate for this project I have a friend who wants to borrow the two to practice rigging so I might as well give him something he'll have fun with. Both have been subject to a lot of changes since I created them so they'll need a revamp once I've finished. It's been a while without updates, mostly because I've been trying to wrap my head around retopology but also because I've been stuck in the texturing phase for a while. I'm currently working on a grayscale version of the two that I plan to colour in later - it's just easier to see if things look good when I see them in black/white instead of different colours. Plan is to focus more on Arryn through the next week, since I've worked less on her so far. Thinking Cade needs a bit more contrast on his feet, otherwise I'm close to being content with him - just want some more details on the bandages/wraps around his arms/legs. Main idea is to make his face the priority point value-wise, and improve it further when I add colour. 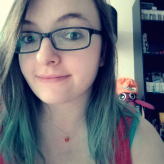 Same goes for Arryn, who is supposed to be a bit more light-coloured overall. First time hand-painting so any aid is very welcome! Blocking in colours. 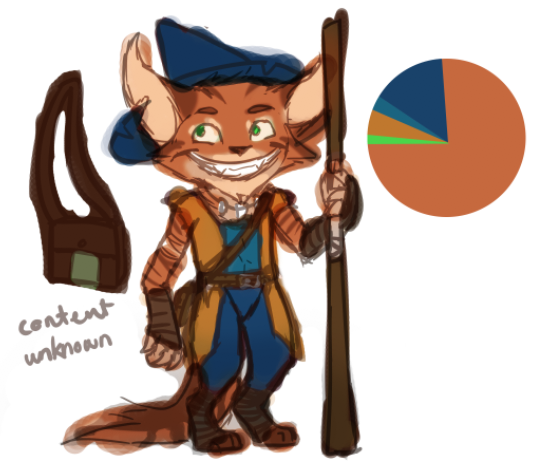 Cade's concept was changed slightly, still not sure if these are the colours I'll end up with for the inal project. I still have a lot to do with regards to highlights an shading, but at least I've got the colours blocked in and pieced up so I can easily manipulate the different parts individually. So far I'm thinking that Arryn needs more saturation, or she'll look off next to the saturated Cade. Final Textures for the characters. All I'm missing is the leaves, which I'll prepare in Cinema on planes, they'll be applied later. In the meantime I've begun working on a small scene for them to stand in, as I still have 3 weeks left (worked too quickly, woops) before the project is to be delivered. 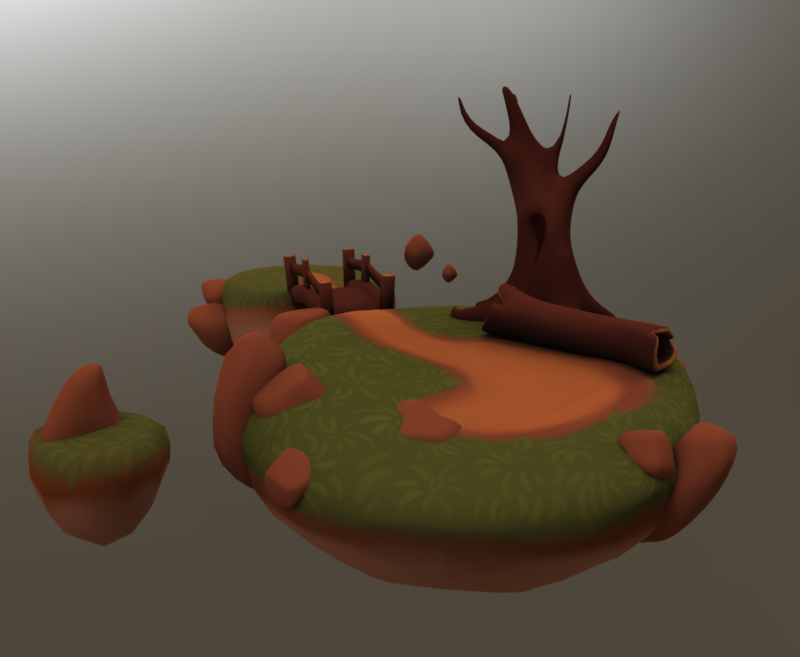 This scene is also going to be hand painted, and I wanted to go for a floating island kind of style. I plan to use planes to add some depth to the grass, so far I'm just working on getting a good base that I can work from. 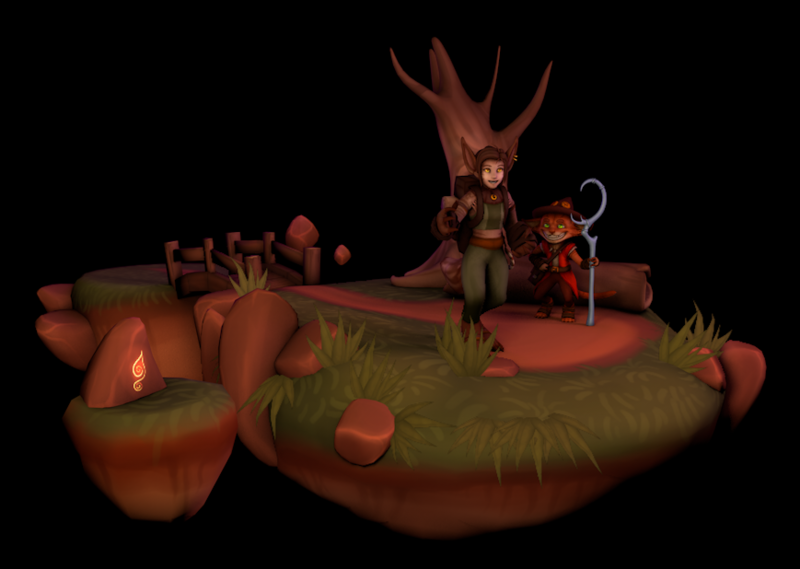 Haven't textured anything but the ground thus far, and blocked in the colours for everything. I'm far from knowledgable on environments in 3D so this will be an interesting project. Hopefully I can make a scene which will help present the characters well! Testing setting and beginning to add some more elements (such as planes with alphas and textures on them). I'm still missing leaves on the tree, and the grass hasn't been placed properly yet. 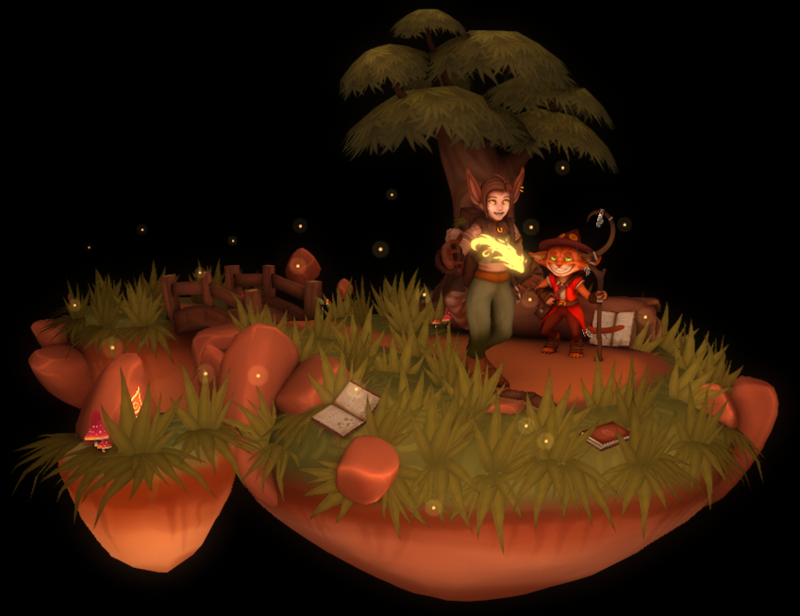 The lighting is also very lacking, but I'll pursue this part more when I get to the point of rendering. I also forgot Cade's staff textures on another computer I worked at, I'll retrieve them by the next update. Hey, I totally forgot to follow this post. This has come along really well! 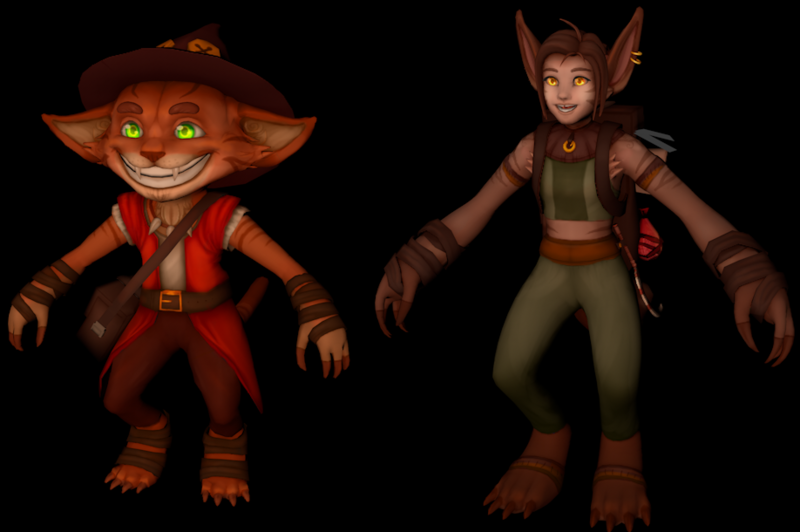 The concepts for your characters are pretty cool and the texturing has come out nicely and they work together. My only issue is the background is just as saturated as them and shares an identical colour palette which kinda makes the characters blend into the background a little. You could maybe lower the saturation or mess about with lighting to pull more attention to the characters. Good point! I'll look into the saturation of the scene, it might be a tad bright. 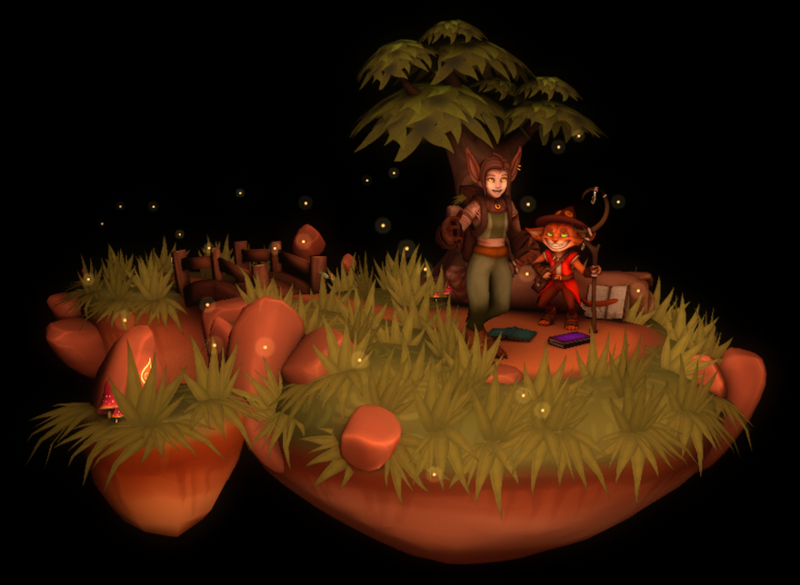 The lighting is kind of temporary as I work with placing everything into the scene, but I'll look into setting it up better to highlight the characters! Thanks for the tips, I'll see if I can muster another update within the day/tomorrow. I really like how this is coming along, you're doing great job. I would suggest to change up the lighting setup though, as at the moment it looks very moody and characters get lost. Done some work today! 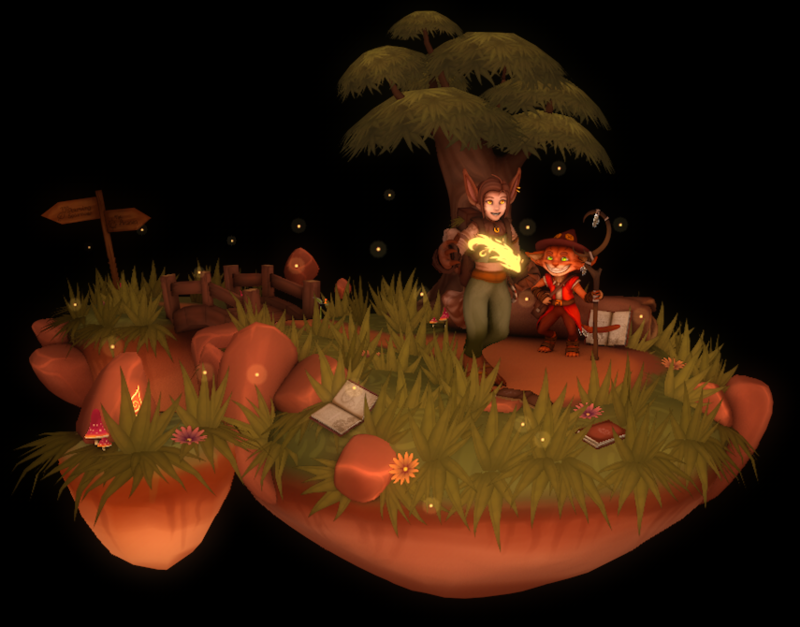 Placed out some more grass, painted books (their details aren't really that visible in the render, sadly. They're meant as easter eggs for the sketchfab/3D file though, so hopefully everyone can see them better there!) and added fireflies (yay/nay?). 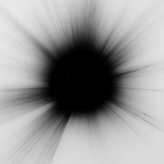 The backside is plainer, with a single symbol and some darker rims along the cover. Not happy with the colours they got in the scene, they stand out oddly to me (the two on the ground). I'll need to revise them tomorrow. Tested out a different set of lights, but I can't seem to bring forth the characters any better. I'll ask my teacher if he has any advice for how to set up lighting, as rendering is by far the area I'm least experienced in. Tree has some placeholder leaves, going to replace them if I have time left before the project has to be delivered. The scene feels less empty now, at least. 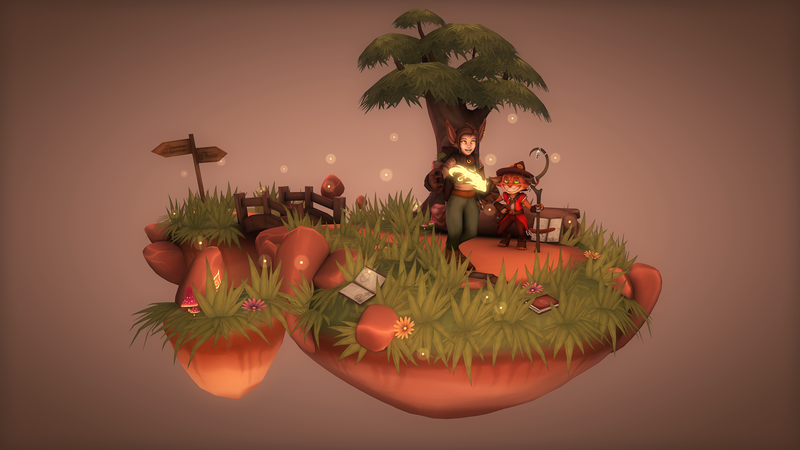 There's some spots still that I feel look a bit empty, but with the limited time I have left I'm unsure if I will have the time to create too many more props to fill in the scene. Could potentially re-use the mushrooms I made (visible behind the log and on the small island), but I don't want to over-use them either. If anyone has any suggestions to what could be there, I'd be very happy! Considered a travel sign post with two arrows, but I think that would be too big/tall and would steal too much attention. Today's work. 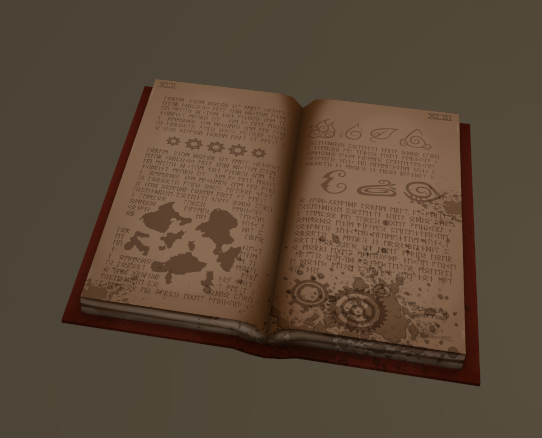 Changed the texture of the books as they stood out a bit too much against the colour scheme I've been keeping to thus far. Replaced the leaves of the tree with some new textures (still not content, any advice would be much appreciated!) and mixed the colour channel and the luminance channel to help bring forth the hand-painted look a bit more. Got until the end of this week/wednesday next week before I have to start rendering, or I won't get it done for the due date. 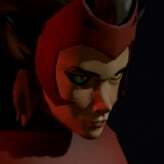 I also have to produce a showreel, various progress documents and get it onto sketchfab for it to be accepted, so I'll need the last week for that. At least I got the most essential items in, and I'm starting to think it looks half-decent at least - especially for my first attempt at environment/scenes and handpainting. Made some flowers and a sign, and traded in one of the book's pages for a new set to avoid them being 100% the same. You can't really read what's on the sign or in the book, but they'll hopefully be fully visible in sketchfab (my goal was to make a scene that was fairly interactive with small easter eggs, in addition to making a still photo). If anyone has any critique, I'd love to have them now - before I start working on getting the render I want for the final picture. All I got of him is a rough block, but I plan to work more on him throughout the week. Plan is to have him standing somewhere partially hidden, if I can I would love to finish him in time to make him visible in my render as well. Still concepting, but he's roughly a cross between a weasel, a bunny and some sort of insect (leaning towards a bee/mantis). 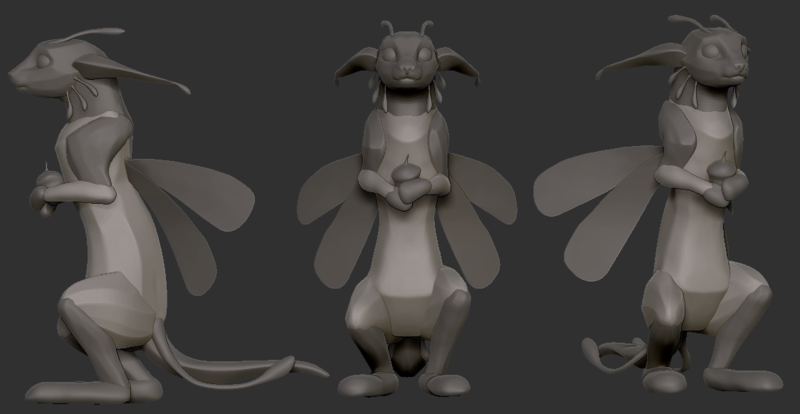 Going to be my first partially assymetric sculpt (I find critters like these hard to pose out with zBrush's transpose master due to their legs sticking to their stomach, essentially ruining all detail I made there - I'll probably try to pose him out a bit more once I've got him textured), hopefully he'll become a cute little critter that'll serve his purpose well. 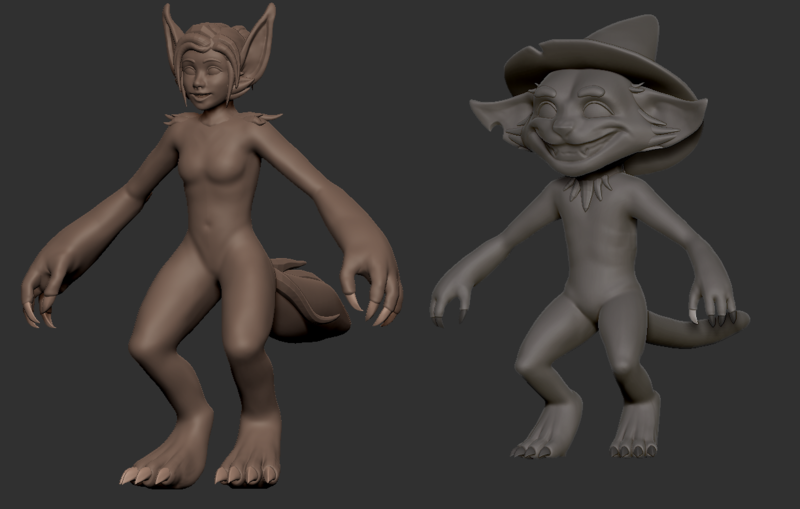 Side-note: This will be my 100th sculpt since I first touched zBrush! I find it somewhat saddening that it took me 97 sculpts before I went all the way through the progress with Arryn & Cade, but alas we didn't learn about the process at school before I was well past 50. (Please note that the sketchfab-file is rather large and may not load correctly on your screen - might need to swap to HD to see all the textures portrayed correctly depending on what operative system you're using (worked fine on windows, not so good on Mac, from my experience)). It has been done! I'm finally finished with the project! 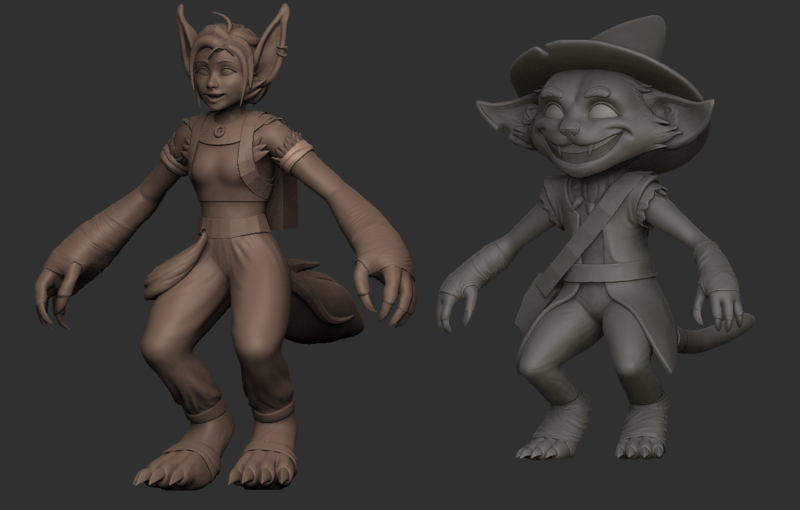 Hopefully I can make up for it by adding a sketchfab-link and a finished render! 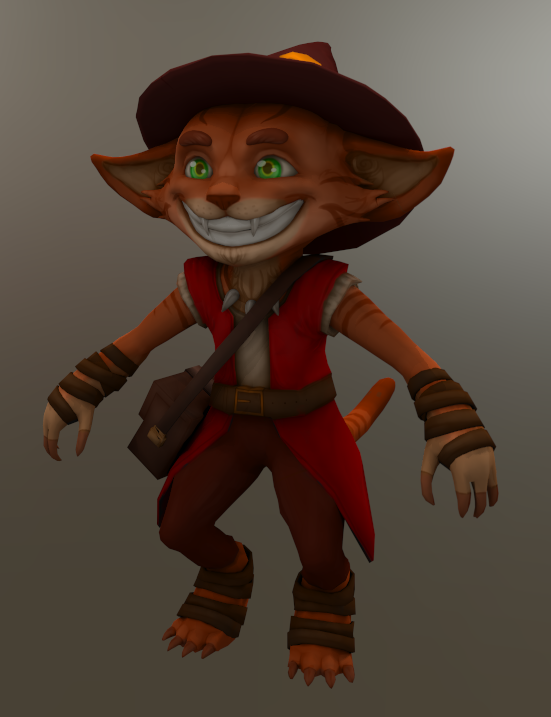 My little critter was also completed and is hidden somewhere in my scene, though only through the sketchfab file. 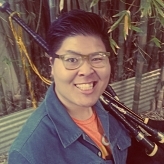 Was fun working on the project, and I thank everyone who gave me advice along the way. I might not have had the ability to change up everything according to what I was told, but I made it in time for the due date and I'm stoked over how much I managed to squeeze into 1 month and 2 weeks, knowing that I had to learn a lot along the path to get a satisfying result. I'll be presenting it to my class next week. Until then I need a couple of renders and a nice-looking presentation with progress pictures, which will be my focus from here on out. Thanks to anyone who paid/pays attention to my little thread. It means a lot for an aspiring 3D artist!